We have a large variety of cars, trucks and heavy equipment for sale. You can stop by our site at 1701 Roosevelt Road in Niagara, Wisconsin or you can browse our selection online by going to our online store! 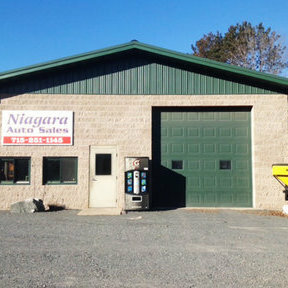 At Niagara Auto Sales you can find work trucks, bulldozers, forklifts, skid steers, cars, trucks and so much more. We are conveniently located in Niagara, WI which is only a few minutes from the Michigan border and Iron Mountain, MI.